The recipe doesn't specify a size of baking dish. I used a 6 qt cast iron dutch oven and needed all the room. It comes out of the oven soupy, so it was easy to simmer in the Dutch oven. The recipe says it makes four servings, but they must be huge servings! I think eight servings would be more accurate. Very tasty and relatively easy to make. Very tasty, and really easy to make. Definitely will make again. May add some vegetables next time. Supposedly serves 2, but easily could serve 6 if you just added one more chicken breast. This is the second recipe I've made in this book where the yield was wildly off. 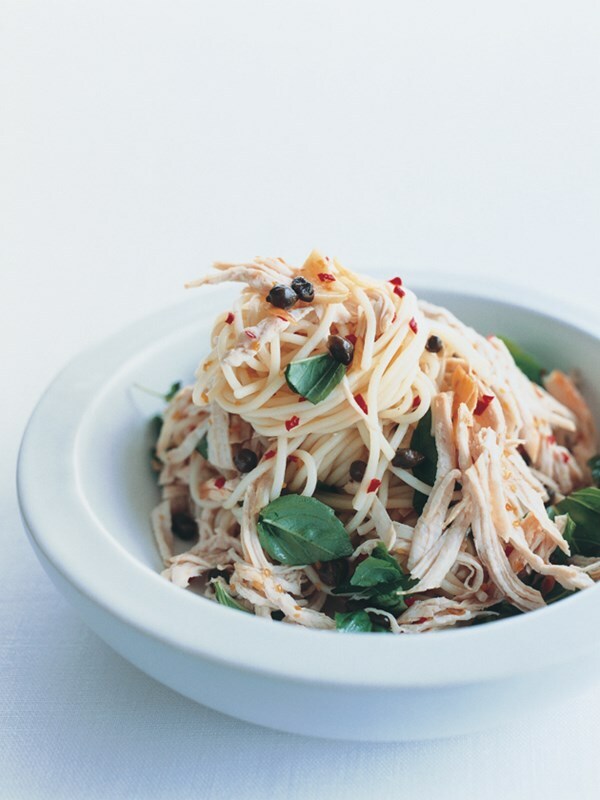 Featuring 60 beautiful recipes, this is the only chicken cookbook you'll ever need. 'It's far from accidental that chicken is one of the most popular meats on today's table. It's affordable, quick and easy to prepare, and lends itself to a host of flavours and cooking techniques. Poaching, steaming, frying and roasting take you throught the gamut of textures from comfort-food tender to crisp and crunchy.' 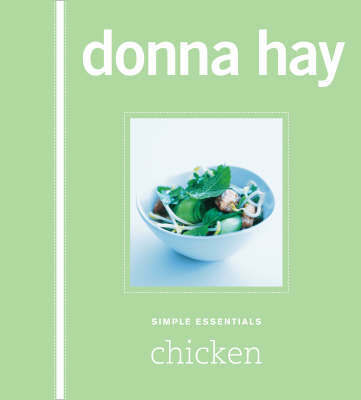 Written in Donna Hay's inimitable style and illustrated throughout with mouth-watering photographs, this worldwide tour of chicken recipes from different cultures shows how easy it is to elevate an everyday food to the realm of the extraordinary.